The Beatles 50 Years Ago Today: January 31, 1967. Beatles Radio: The Beatles, Solos, Covers, Birthdays, News The Fab 4 and More! 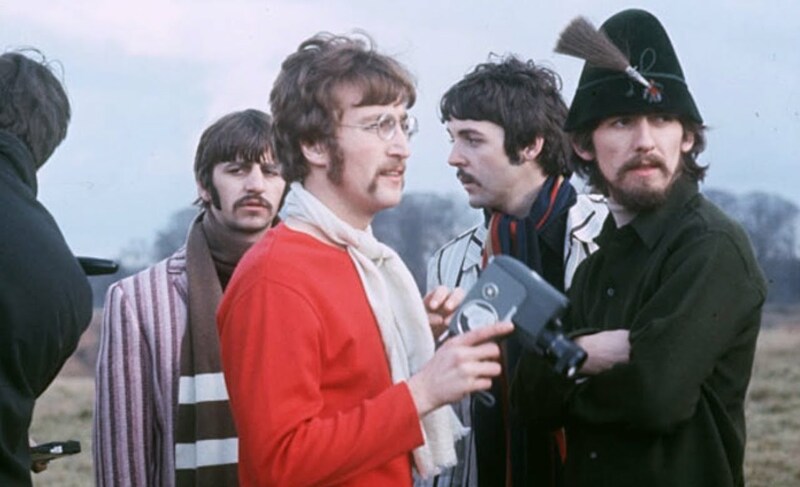 The Beatles returned to Sevenoaks during this afternoon, staying through to the evening and completing in that time the "Strawberry Fields Forever" clip. Among the scenes shot this day was the one where Paul dropped own from a high branch in the dead oak tree and ran backwards to a piano - a sequence which, when played in reverse, showed Paul running towards the tree and jumping uo onto the branch. All clever stuff, inspired, no doubt, by the Beatle's present fascination with backwards recordings.